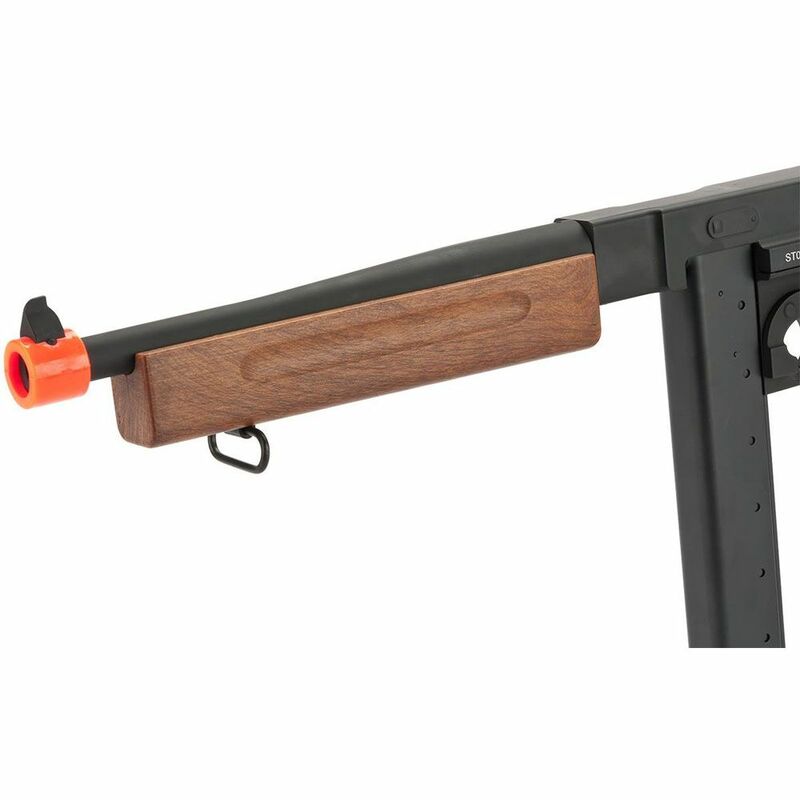 The Thompson M1A1 was one of the predominant guns used by the United States Army in World War II. 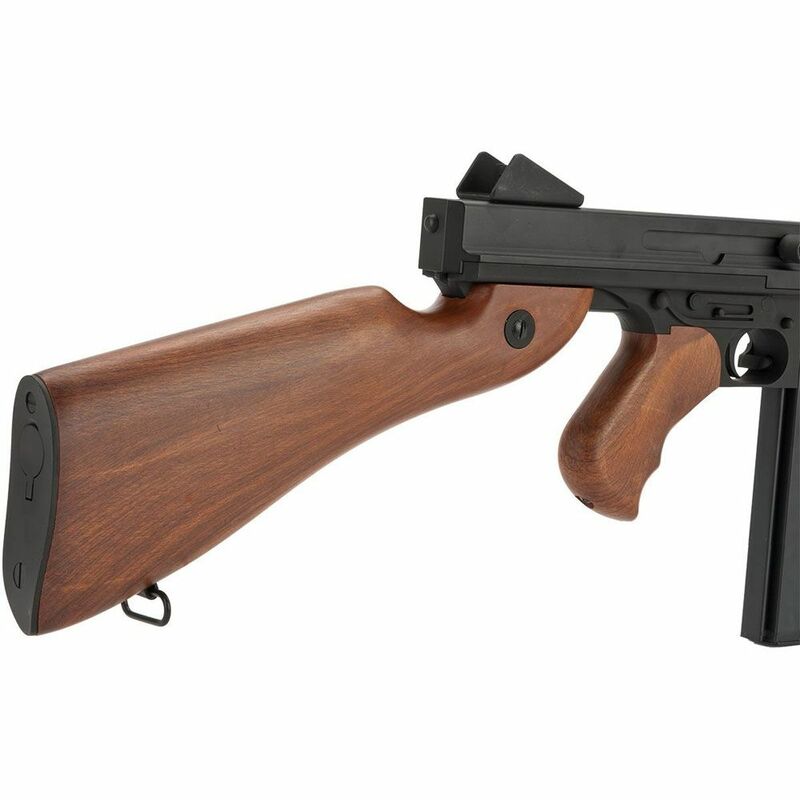 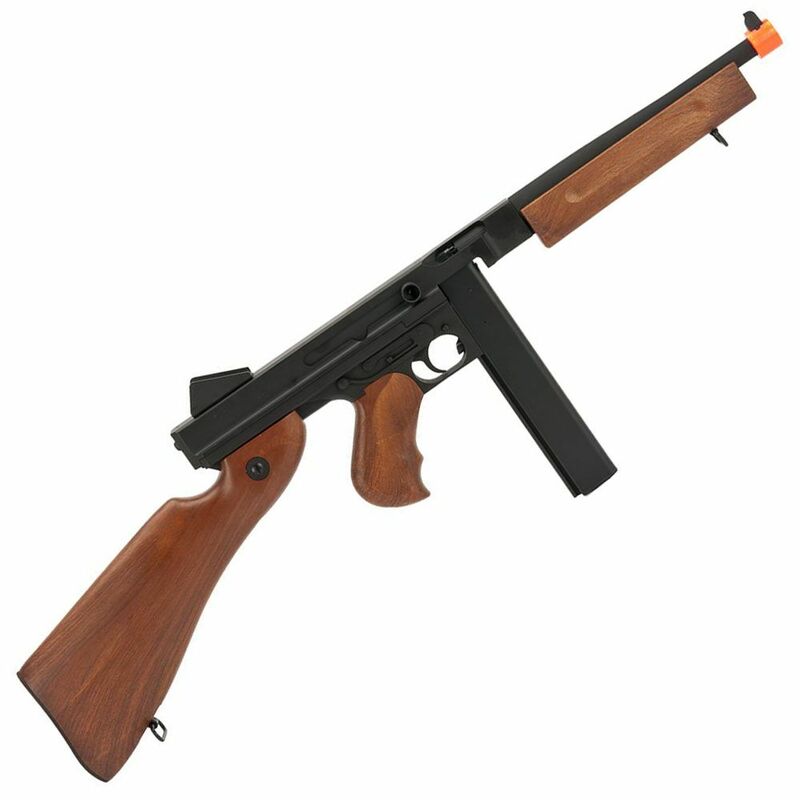 This authentic recreation features imitation-wood paneled grips and a full metal body for a realistic weight and feel. 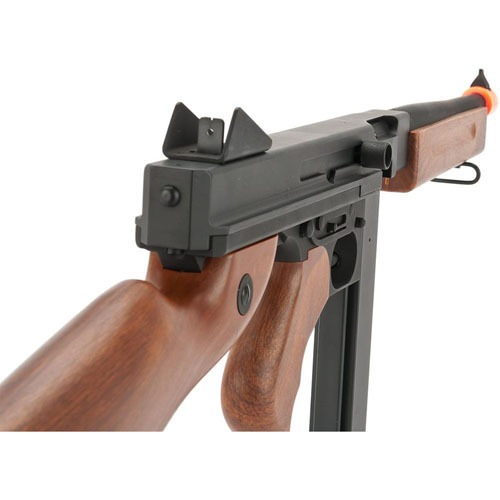 An adjustable rear sight and hop-up system will help you get the most accurate shot. 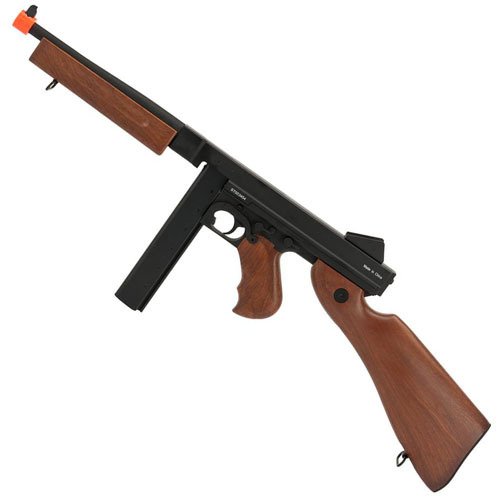 Battery and wall charger are included.